It's time. Though I have threatened it on a few different occasions in the past, this week (as we wind down towards Witchwood) we are going to team up with Rin. The first disciple is one of my favorite legendaries of all time for several reasons. One, she has an extremely unique effect that is unlike any other card. Two, she rewards control decks for playing the game slow (which we need more of). This shell has all the classic Warlock kill tools you know and love with some rather aggressive early game options to make sure you always get to your finishers. And what finishers they are. When teaming up with Gul'dan, you could play Cubelock, but who wants to do that? We're here to have fun. 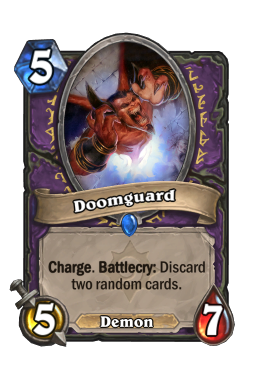 Dark Pact Dark Pact is an extremely obvious card in Cubelock because it is one of the central parts of their combo. However, there are no Carnivorous Cube s in this list, which makes it much trickier to use. 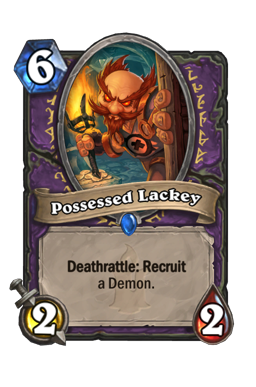 Ideally, this card is going to be for Possessed Lackey . Spellbreaker is very popular right now, and you never want to just throw out Lackey on turn five if you can avoid it. Rather, play lackey alongside pact on six to make sure it goes off. Even if your opponent silences a Voidlord , you can always bring it back with N'zoth, the Corruptor . This is so key that in some games it can be right to simply hold onto Lackey until you get a pact to go with it. This is also the way you play Rin, the First Disciple when facing control decks that have things like Polymorph . 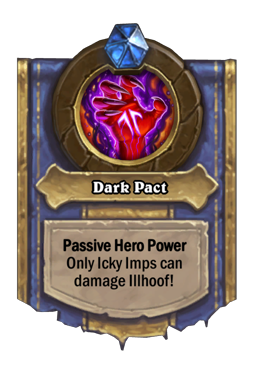 As good as the Possessed Lackey mini-combo is, Dark Pact is also powerful because of its versatility. Eight health is eight health, and that matters a lot in a class that takes as much damage as Warlock does. When you're under pressure or when you need life, plan ahead to see what you can use this on. 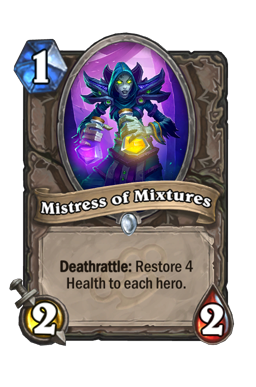 Mistress of Mixtures is a fantastic way to gain life, as is Plated Beetle . Each of those also make great targets because they are small minions, meaning you don't lose that much tempo or board presence. 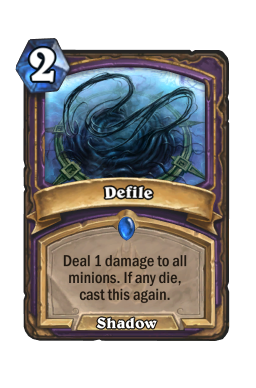 However, this card can also be used on a Voidlord when you're scared of silence and need to spread out your taunts, and it is a strong way to set up N'zoth, the Corruptor or Bloodreaver Gul'dan when your opponent isn't killing off your board. There are options here. Think of them all. Spiritsinger Umbra One of the coolest things about this build is that it runs a ton of lesser-used or interesting minions. 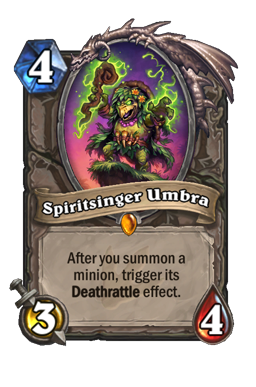 Spiritsinger Umbra is great example of that. 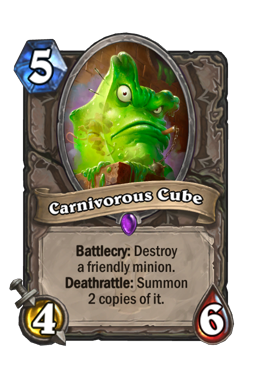 This card sees fringe play in Cubelock because of how well it works with Carnivorous Cube . However, here you aren't going as big. 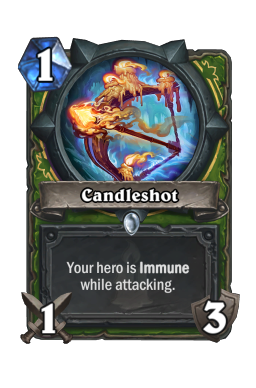 Most of the time, you're going to use this to double up on healing or tempo plays. Spiritsinger has a great ability, but she also costs four mana. That means you don't have a ton of mana to work with once you drop her down. 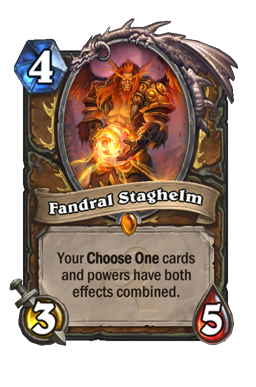 Treat her like you would Fandral Staghelm . That is to say, play her out in the same turn you want to get value. Yes, she only has limited potential, but even using her on turn nine with Possessed Lackey can give you quite a bit of power on the board. The other important part of this card is, as always, the tempo. A 3/4 is easy to deal with when you have a lot of minions, but when your opponent is pushed back it's a lot harder for them to answer the turtle. 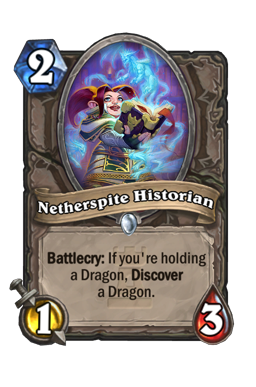 That means she is going to demand removal, which then takes your opponent off their plan and gives you a way to extend the game. This card works a lot like Doomsayer in that regard, but Spiritsinger Umbra is stronger because you also get extra value from its static ability along the way. For that reason, as long as you get a trigger from singer, she helps you towards your gameplan. Sure, there are some situations where your opponent could let the four drop live a turn, but the combo potential (even if you don't have it) is simply too much to ignore. Note: While she's strong, Umbra is not an auto-include. If you don't have her, you can switch her out for a Siphon Soul . Rin, the First Disciple The namesake of the list, Rin, the First Disciple is an incredibly powerful card that gives you an amazing win condition against all types of decks. Typically, she is here for the control games. Your opponent might have ways to kill your minions, but they can't do anything about drawing into fatigue turn after turn. The hardest part of using Rin is figuring out where you can get her seals in. 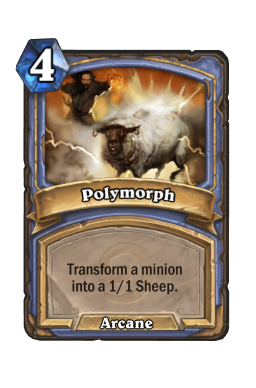 Five mana to play a small minion is not something that is going to do a lot upfront. As a result, always weigh how much damage potential your opponent has (on board and in hand) and only sneak the spells out when you have a window to do so. If you're up against control you want to start spamming seals right away. Against faster builds, it is going to be something you do when you have no better options. Another important part of Rin, the First Disciple is that she enables you to win fatigue matchups that are not strictly fatigue games. You are going to tear through your deck, which then means you're going to draw a lot of cards. Sometimes, you get into situations where you and your opponent take the game slow. You have a lot of answers, they have a lot of cards. The problem? They have half their deck left and you have five cards. Rin is a great way to fix that because she enables you to put them into fatigue first regardless of how many cards you have in your deck. 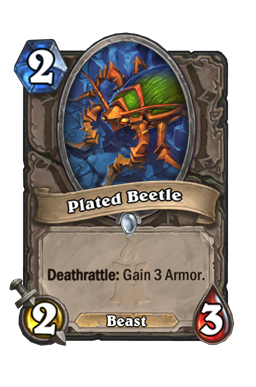 Your opponent then needs to play cards to kill you before they die to fatigue, which forces them into your removal. This plan isn't going to come up all the time, but it is something you need to be aware of. If you see your opponent holding back a lot of cards or playing around AOE, push them hard with Rin. Twisting Nether Easily my favorite part of this list, the two Twisting Nether s are an amazing safety blanket. You are an attrition-type control deck. That means you want to go as long as you possibly can. You don't care about ending games early, nor do you care about silly things like game length. You care about killing things over and over and over and over again until your opponent is out of cards. The double nether allows you to do that in a very organic and smooth way. Even if your opponent suspects that you're running both (and to be fair, a lot of decks do) it is very hard to play around each of them while also trying to keep on pressure. Take advantage of that and use these once your opponent goes above your other removal. Even with two, these are for last resort situations. The way you set these cards up is not by giving your opponent priority. While that can work from time to time, good players will work hard to make sure you can never get value out of AOE. To beat those type of plays, you want to press the board to make your opponent react. This deck is strong because it puts your opponent into an odd spot. 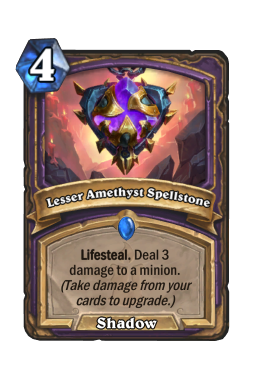 They don't want to commit too much, for fear of getting blown out by AOE, but if they don't do enough, you will grind them down with Voidlord s anyway. Take full advantage of that and do everything you possibly can to get at your opponent. You don't care about losing your minions. Your opponent does. 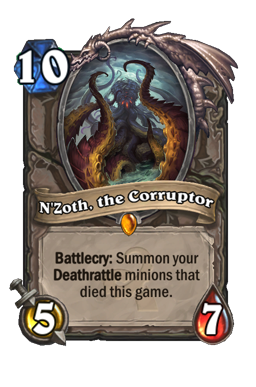 N'zoth, the Corruptor As strong as Bloodreaver Gul'dan is, N'zoth, the Corruptor is the true game-ender in this one. As with the Spell Hunter deck we covered a few weeks ago, this deck is strong simply because you have a variety of different finishers. Sometimes, you lean on Bloodreaver, sometimes it's Rin, the First Disciple , and sometimes it's N'zoth. N'zoth is what I call your "last finisher," which means it is the card you want to play when you're out of options and you're sure your opponent is out of answers. The Old God is nearly impossible for any deck to deal with, but there are some ways to play around it. The only exception to that rule is when you're up against aggro or midrange. In those situations, it is best to just push for N'zoth as quickly as possible. Even getting two bodies or a single Voidlord can lock down the board. By the time your opponent answers (if they even can answer) you should be able to leverage your other finishers. The four decks I see the most while playing the ladder. Control Warlock Though both types of Warlock are well represented on the ladder at this point in time, Cubelock is the most dominant. Either way, you're treating this like a mirror match. The goal of this game is to gain as much priority as possible and then use that to set up Rin, the First Disciple . No matter what version of Warlock you're up against, you need to lean on the gnome legendary. I think she's a must-keep in this one. Not only does she immediately put your opponent on a clock, but she also makes it so that they need to react to you. As mentioned above, this game is largely about priority, and Rin gives you that in spades. Once she dies, go hard with her seals and try to get your opponent into fatigue as fast as possible. 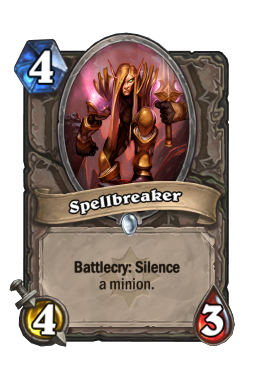 Just note that if you think your opponent might have silence, you only want to use her when you can Dark Pact right away. 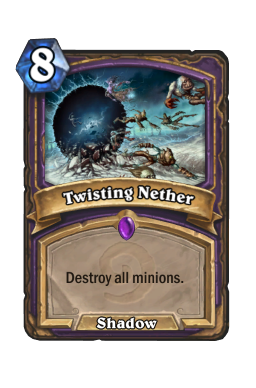 The other best card in this matchup is Twisting Nether . Yes, you want to lean on your big Voidlord s to lock down the board and eat up combo damage cards like Doomguard , but clearing the board is extremely important because it gives you a way to set the table for Rin's seals. 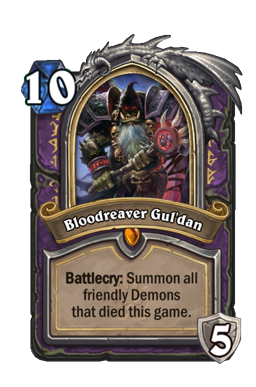 N'zoth, the Corruptor is strong, and so is Bloodreaver Gul'dan . 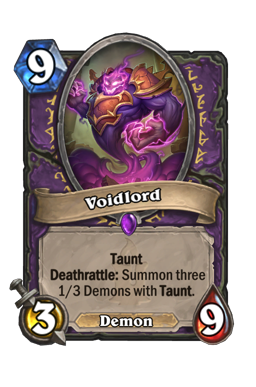 However, as there are so many Voidlords and removal spells flying around, those cards will likely be canceled out by your opponent's. You want to work hard to make sure that if your opponent ever does make a push or takes the board, you have a way to clear them off of it. Keep this card and only use it as a last resort here. 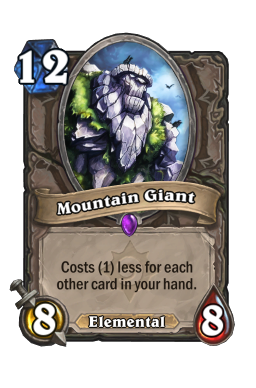 It is best used right after the Death Knight, but it can also come in handy if you're backed into a corner by Mountain Giant s or the like. Combo Priest Be careful. Be very, very, very careful. 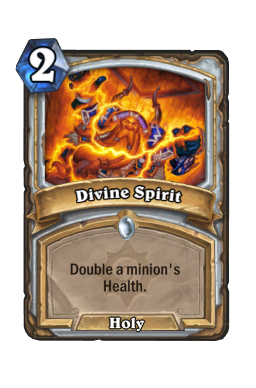 Combo Priest is an incredibly powerful build that relies on the fact that it is hard to kill their minions. 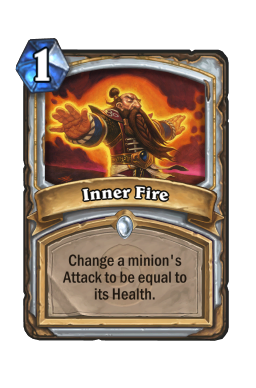 They play some stuff, you drop some removal, something lives, and all of the sudden you're in a world of Inner Fire s and Divine Spirit s. What makes this game so tough is that Priest does not need to do a lot to kill you. Your health is always going to rest in the mid-teens, which makes your opponent's burst very strong. Think about your opponent's ceiling at all times, and then play accordingly. 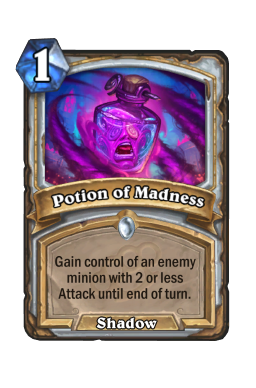 Your taunts are extremely valuable, but you also want to be careful about Potion of Madness . Never give your opponent an out when they're back is against the wall. In the past, we've discussed that the best way to beat Combo Priest is to get out ahead of them. That is also true here. However, rather than beating them on the board (though, that does work if you can manage it) you want to stay ahead of them through removal. You also need to watch out for health buffs during the middle game. 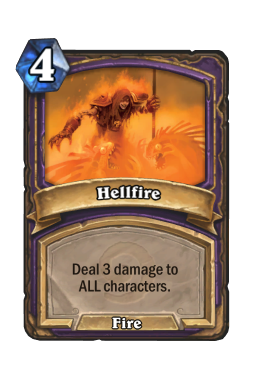 While Twisting Nether is hard AOE, all of your other cards only take out so much health. 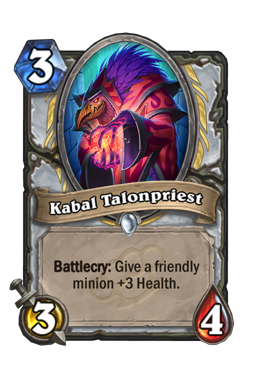 If your opponent ramps up with something like Kabal Talonpriest or Power Word: Shield , you can find yourself very susceptible very quickly. Don't let your opponent get out of hand and don't be afraid to go after one minion. Using AOE or hard removal on a small-attack threat may seem odd, but it's fine if that threat represents lethal. The goal is to always count two Divine Spirit s and one Inner Fire . If you're above that mark, you're good. If you're below it, heal. Playing around three is a little too unpredictable, so I wouldn't worry about that too much. Aggro Paladin Aggro Paladin is fast, but it is also very vulnerable to everything this deck does. Your AOE is fantastic, your spot removal extremely strong, and even your taunts do a lot of work. 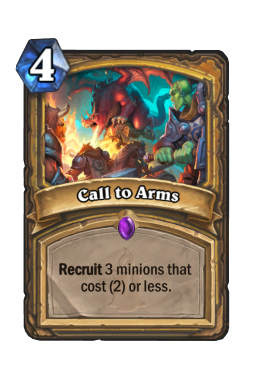 You should coast in this one simply because of the fact that Paladin is extremely weak to your early minions as well as your late game threats. While some lists run Spellbreaker , almost all games end once Voidlord drops down. For that reason, everything here should be geared towards getting to turn five. 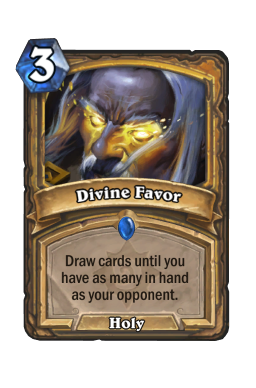 Paladin has quite a few advantages in this one (your hero power damage, playing into Divine Favor , etc.) and your goal is to offset them all. 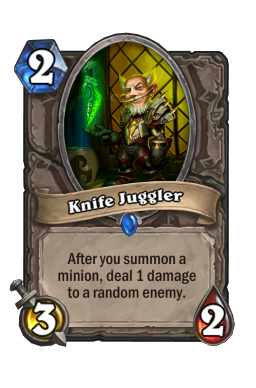 You do that by clearing aggressively, healing as much as possible, and running your opponent out of cards. Also, always be ready for Call to Arms . The only way you lose this game is by using your removal at the wrong times. You do not only want to use your clears, you want to use them in a way where you force your opponent back into a space where they need to use a lot of cards to rebound. For instance, you never want to burn a Hellfire or Defile only to find yourself staring down a board of Silver Hand Recruits armed with Level Up! . 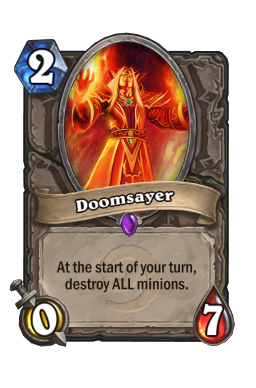 Of course, if you have AOE against a medium-sized board you need to pull the trigger, but most of the time the rule is, if your opponent extends or has no cards (which means no Divine Favor potential either) then you can play your AOE. 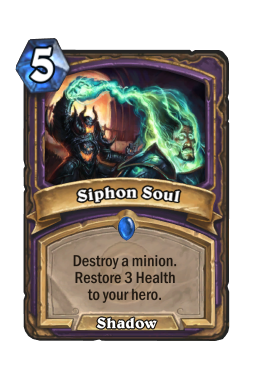 However, if your opponent is being careful, press the board with minions in a way that clogs things up, and always lean on taunts. That will then force them to react. Hunter Hunter holds on as best it can. Rexxar has done some incredible work to stay in this spot, and the spell or spell-based lists seem to have risen to become the most powerful. This is going to be your toughest game, and one you need to be extremely careful in. Everything here is about getting to Bloodreaver Gul'dan (which is almost always a win) but surviving for ten turns against Hunter is extremely difficult to do. 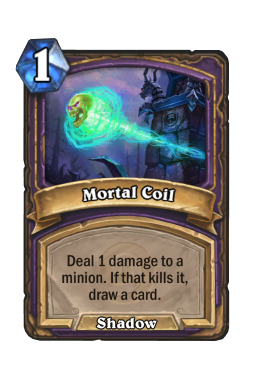 The way you take this one down is through your minions and healing up at all times. This is not a game where you want to depend on just one card to win you the game. Take chances, and always do what saves you the most health. 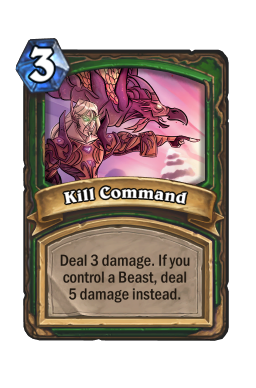 Yes, you cannot do anything about burst, but your taunts and early minions are fantastic at pushing Hunter back or soaking up things like Kill Command . 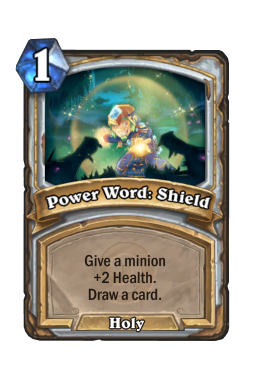 This game should be more control based than anything else, which means you always want to be hyper aware of your opponent's damage and minions. Also, you want to do your best to limit taps. Yes, drawing more cards is good, but taking two damage when you're searching for answers is almost never going to be the ideal move. Mulliganing with this deck is interesting because, though you are control, you really want to hit your early game like midrange does. 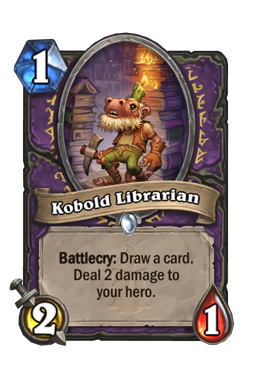 Kobold Librarian , Mistress of Mixtures , Plated Beetle and Stonehill Defender are the four cards you want to look for in every game. 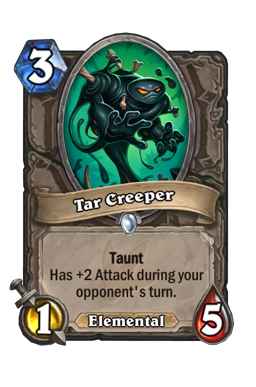 From there, Tar Creeper is great on curve or with the coin, Lesser Amethyst Spellstone is good with any curve, and you always want Hellfire , Mortal Coil , and Defile against aggro or midrange. 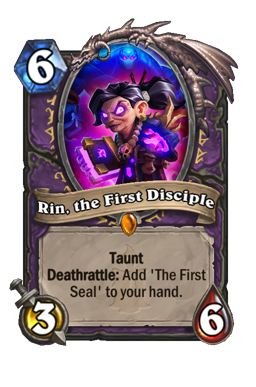 Rin, the First Disciple should always be kept against Warlock. In fact, I think it's right to only mulligan for her in that game. I loooove this list. While I have never been a fan of Cubelock (which seems a tad too inconsistent for my taste) the straight up Rin Control is definitely my cup of tea. This deck should be a blast or control players everywhere because it checks every single box. You get cool removal, fun cards, long matches, and some of the coolest finishing options around. Of course, playing midrange or aggro are great, but how many chances do you get to blow up someone's deck? Until next time, may you always Rin on six.